Hannah and Simon are ready to return home and carry the gospel to the people of North Korea. In this world of spies, secret police, and informants, they soon learn that staying together won't compromise their ministry. It could cost them both their lives. Two undercover missionaries delivering a single message of hope. Two Christians willing to die for the sake of the Good News. One love - more powerful than terror, more beautiful than life, and more dangerous than either of them could possibly imagine. 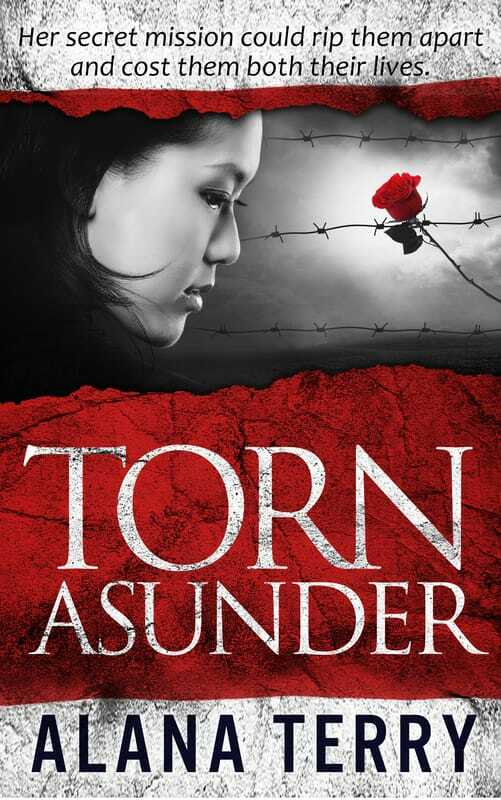 Torn Asunder is part of the Whispers of Refuge series branched off from Alana Terry's award-winning debut, The Beloved Daughter. These suspense novels tell the stories of contemporary North Koreans and can be read together or separately from Alana's other books.